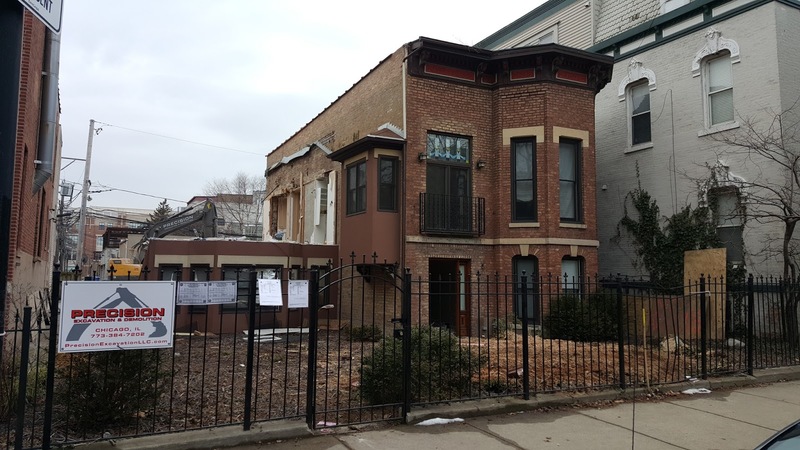 We wrote about the sale of this Lincoln Park vintage building and double lot at 1108 West Webster. This is a fantastic, walk-able location in the DePaul neighborhood. 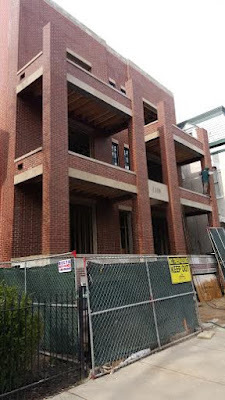 We saw the demo permit from https://twitter.com/ChiBuildings and was of interest to many including real estate and architecture enthusiast https://twitter.com/_GXM. I even received emails from former residents of the building in years past after they caught wind of our post. 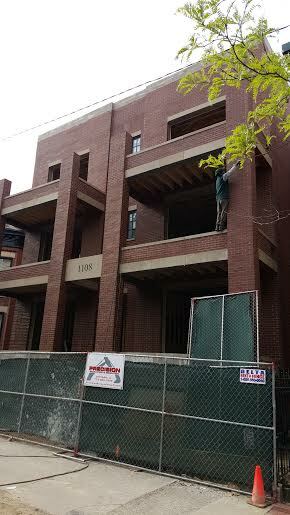 I took some photos a couple weeks ago of the new construction condo building nearing completion (shown below). The new construction at 1108 West Webster (all photos Eric Rojas, Broker, Kale Realty). I guess I was hoping for a little more pizazz at this premier spot among many original buildings and high-end construction. There are no MLS listings as of yet for the building but I'm guessing there are some pre-construction contracts. A 2010 built three bedrooms, two baths top floor condo with 1,800 sq/ft built-out deck at 1005 W Webster Ave Unit 4E, Chicago, Illinois 60614 recently sold for $1,160,000.